The impressive oval tureen with bow-shaped handles, applied with swags and chased with medallions and fluting, has a detachable fluted cover with a cable border. The tureen is placed on a stand in similar outline. Fully marked at the reverse and displaying an assay stripe. Dirk van der Goorbergh (circa 1723-1816) was a very skilled Delft master, whose work could compete with that of the renowned The Hague silversmiths at that time. 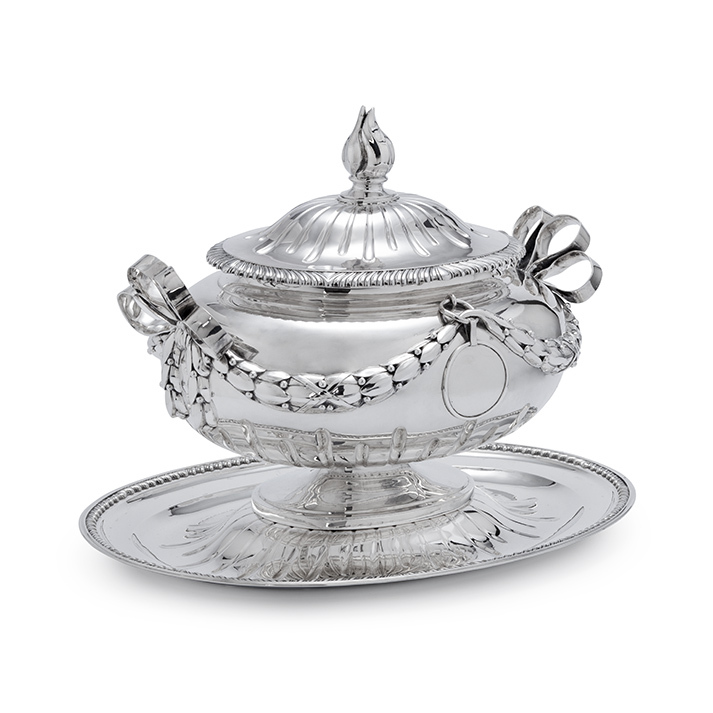 The work of English silversmiths, who worked in the so-called Adam style (from ca. 1765-1795), might have influenced Dirk van der Goorberg. 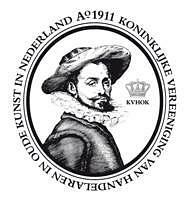 English catalogues with designs from Sheffield, Birmingham and London silversmiths were available to Dutch silversmiths due to the trade contacts via Rotterdam harbour. 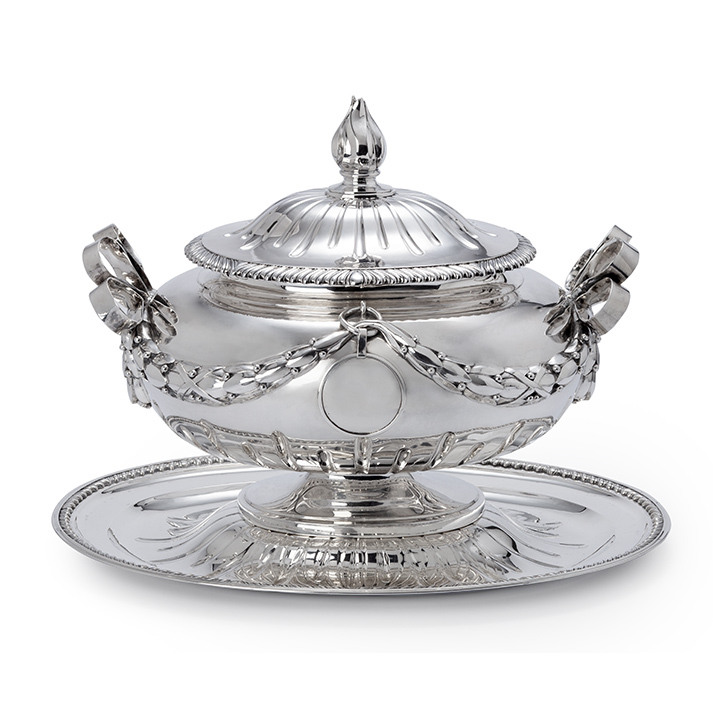 Therefore, Dirk van der Goorberg might have been familiar with the design of the magnificent tureen the London silversmiths John Wakelin & William made in 1777, engraved with the coat-of-arms of Lowther, Earls of Lonsdale, which is also applied with swags and medallions.